Digital bevel boxes, or 'angle finder cubes' are quick and easy ways to get relative and absolute measurements in a variety of work settings. Lightweight and small, they are easy to transport and provide highly accurate readouts. The built-in magnets enable secure attachment to any magnetic surface and zero-setting buttons will recalibrate to reference new surface areas. They are suitable for a wide variety of applications from checking drill press table settings, to working on aligning grader and tractor equipment. Let's check out five of the best selling options on the market today. 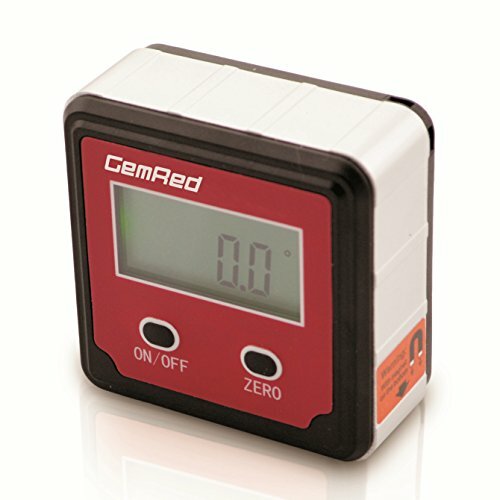 The GemRed digital bevel box is a highly accurate level box with an extra large LCD screen that provides absolute and relative measurements, including the ability to zero set to any position. The measuring plane also has a disk magnet (only on the bottom not the sides) that can be attached to the work surface area that is going to be measured. It has a fairly wide measuring range of + or -180° and it also auto powers off if it hasn't been used in five minutes-which is a pretty convenient feature. The resolution is .1° with a measuring range of 4*90° and it's powered by two AAA batteries. Some common applications include setting pitch angles for helicopters, adjusting the blade angle of miter saws and circular saws, setting up the tool settings on lathes, assessing drainage angles and run off slopes, and aligning graders and tractors. Users described using the magnetic digital bevel boxes to set up their miter and tablesaws as well as to ensure the saw blades are aligned. One Harley-Davidson rider uses it to check in on the front and rakes of all of his motorcycles. He comments that it is a small enough unit to accomplish whatever mechanical or garage project he's working on, and he's easily able to attach it to the brake rotors' disks to assess alignment. Another reviewer raves about his digital bevel box-writing that it is a great way to get an accurate angle on a sawblade. Initially he had been skeptical, but he writes that all you have to do is make a cut, then check the angle of the piece you cut, and you'll be thrilled at how dead-on accurate it is. These are great general shop tools to have around your garage. Simply purchase one, toss it into your toolbox, and pull it out whenever you need to use it. 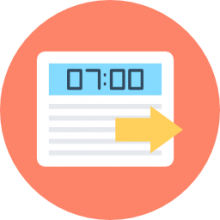 They are relatively inexpensive and last for a good period of time, especially since they auto power off, so you won't be left with a dead device that had been left on for a couple days. If you are interested in purchasing a digital bevel box, read our reviews above and take advantage of the comparison table that lays out some of the important purchasing criteria you should consider prior to investing in one.